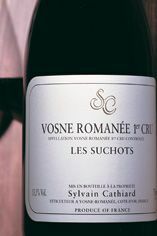 2011 is the first vintage made by Sébastien Cathiard, son of Sylvain. There are no plans to change the successful style of Cathiard père, but there are bound to be differences in nuance with a different hand on the tiller. The wines once again have the magical perfumed Cathiard imprimatur but is there possibly a greater sense of precision in the definition of each vineyard site. Sadly the 2011 crop is a touch smaller even than 2010. With a characteristically elegant bouquet, the silky, delicate red fruit flavours of this wine swell towards the back of the palate. It is very lacy with excellent persistence, and is absolutely Suchots in style.